The OpenWRT site has a great photo with a teardown of the WeMo, including the location of the serial port pads. The pads are only 1.27mm apart, and very difficult to solder bare wires to if you're not an experienced solderer. If you're an Arduino fan, you likely have some Dupont cable lying around. Take a pair, and swap them into a 2P housing. Arduino uses a pin spacing of 2.54mm – the pin spacing we need is 1.27mm. Use a pair of pliers to bend and straighten the ends to the correct spacing. Use your soldering iron to heat the pins to attract enough solder, then simply drop the pins & housing into place. You can see from the photo, I used a bit of Post-It Note to prevent contact with the lower two pins. If you're using a typical USB-to-Serial adapter like the FTDI232, you can actually power the board off the VCC+GND pins from the adapter (set the voltage selector to 5V). U-Boot's loadb command allows us to download an image over serial to memory, using an ancient file transfer protocol called Kermit. On Linux, the client you want is C-Kermit. Apparently Kermit clients on Windows exist (e.g. Kermit 95), but I couldn't get Kermit 95 to work under 64-bit Windows 7. If you're having permissions issues, you probably need to add your user to the dialout group. The bootdelay (i.e. the time U-Boot waits for input before attempting to boot the default firmware) is only 1 second. It's pretty hard to catch on first boot, particularly if you're powering off the FTDI232. Hold down the Reset button on the top while applying power for around 5 seconds. Your Serial terminal will show it booting into the WeMo firmware, and starting to erase its settings. After the settings are erased, the WeMo will automatically reboot - start mashing the "4" key to get into U-Boot. The end result is we can't write our OpenWRT image straight to flash like we normally should be able to; and you'll also lose any trace of the original Belkin firmware. What a pity. Also note, the WeMo firmware has its kernel commandline hardcoded so you can't simply add init=/bin/sh to bootargs to get a root shell. We get around these limitations by loading an OpenWRT image with an initramfs, booting it into failsafe mode; then flashing the real firmware we want. We'll need two images for this to work: one initramfs to boot into, in order to flash the real image we want to end up with. We'll use the same customised image from the earlier article, OpenWRT on a Belkin WeMo - The Easy Way as our final image. Check out the article if you're interested in what's changed from upstream. This may or may not be required. I haven't tested what happens if you don't. sysupgrade under OpenWRT will "probably" do the right thing, and erase the right areas -- and will probably even leave the "B" partition unharmed. By default, loadb downloads the image to 0x80100000. The OpenWRT kernel starts unpacking itself at 0x80000000 - just 1MB lower (the kernel is probably around 3MB). So we need to pick a different memory region to download to. I chose 0x550000. ...do as instructed. After the screen has settled down a bit, press [enter] to get a console. You should now have a root shell. Breathe a sigh of relief - from this point onwards, no more serial comms are required! Connect to the temporary AP, then telnet to 192.168.1.1 and set a root password. SCP your local openwrt-15.05-ramips-rt305x-belkinf7c027-squashfs-sysupgrade.bin to /tmp. If you're using WinSCP, you'll need to select the "SCP" file protocol (not "SFTP"). And finally, reboot. With any luck, you should see the kernel booting, and a "WeMoWRT1604" Access Point show up! There is another exploit available that makes changing firmware somewhat easier for recent versions. It works for firmware up to 10884 or 10885, depending on the device. Use the exploit code here to obtain a shell on the device. You'll need root.sh, getinfo.py, storerules.py, exploit.db and python installed. Hello, just recently flashed two Wemo devices, and everything went well. My question to you - How do you have your devices set up to connect to your home network? 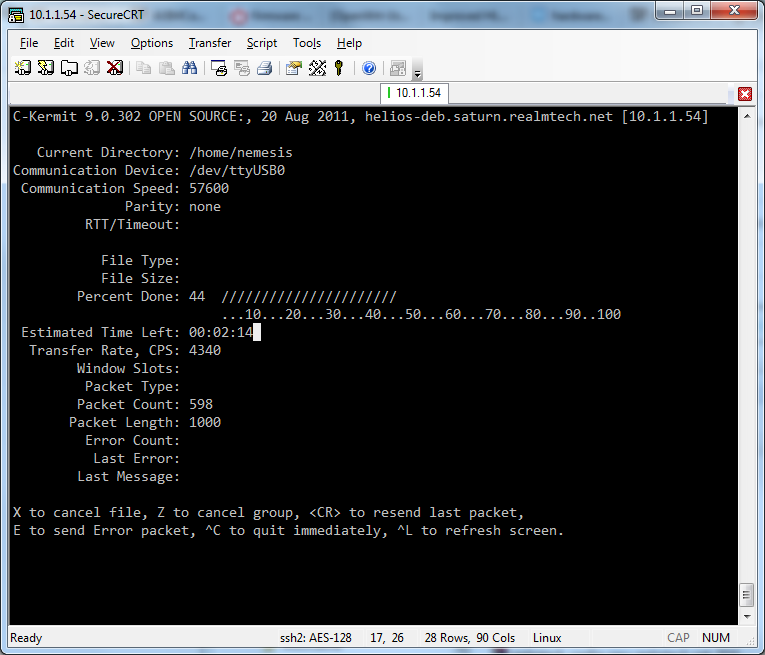 I tried following the general instructions on the openwrt site for client mode, however I'm not having much success. Any input? Thanks! Got it all figured out; you need to manually download and install the relayd and luci-proto-relay packages, as the sysupgrade bin doesn't come with these by default. I set everything up via the command line, however after these two packages are installed, I'm pretty sure you can configure via the web interface easily as well. [   13.500000] rt2800_wmac 10180000.wmac: failed to get mtd device "factory"
[   13.510000] ieee80211 phy0: rt2x00lib_request_eeprom_file: Info - Loading EEPROM data from 'soc_wmac.eeprom'. [   13.640000] ieee80211 phy0: rt2x00lib_request_eeprom_file: Error - Failed to request EEPROM. Is there a way to load the sysupgrade firmware without wifi? If I did, would it find the wifi? I copied 18.06.1 instead for the initramfs. Now I am able to connect. I installed http://downloads.openwrt.org/releases/18.06.1/targets/ramips/rt305x/openwrt-18.06.1-ramips-rt305x-f7c027-squashfs-sysupgrade.bin. I had to connect to it in AP mode. From there it was easy to access the web interface to switch it to STA mode (luci was preinstalled). How do I setup the leds, relay, and buttons? I figured it out. The script /etc/rc.button/rfkill is run whenever the power button is pressed. The relay can be turned on/off by echoing 0/255 into /sys/class/leds/f7c027\:device\:relay/brightness.